Every now and then I’m fortunate enough to be able to publish guest posts by illustrious people in the analytics and digital marketing industries. This time, I get to work with an old colleague of mine who’s a veritable wizard when it comes to building solutions that make our daily work in the digital industry so much smoother. 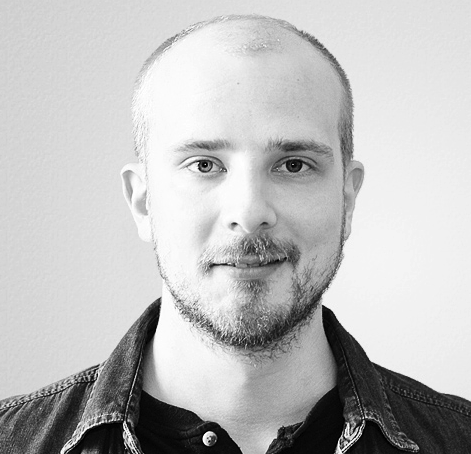 Erik Grönroos works as an analyst in MarkkinointiAkatemia, a Finnish digital customer acquisition agency. Erik’s job is to utilize data and analytics to help grow the agency as well as the companies of the clients he works with. In this guide, Erik will share with you how to build an application which helps you automate the monitoring of your Google Ads accounts using the R programming language, the AdWords API and the Slack API. I’m particularly excited to publish this article, as it’s the first time (if I recall correctly) that Google Ads and R are covered in the blog. Anyway, as the editor, all the mistake and errors that you can find in the article are 100% mea culpa, so let me know in the comments if errors persisted to the final draft. Thank you! Now, let’s script for real! Zero-cost detection in Ads accounts, for monitoring credit card expirations or other issues that prevent your ads from rolling. This implementation utilizes R and the Google AdWords API for checking the data, Slack API for realtime alerting via your Slack bot if something critical is detected, and good ol’ cron for scheduling the script. If you’re a marketing agency, a typical situation is that you have plenty of Google Ads accounts to take care of. When the number of accounts breaches the hundreds or the thousands, manually managing, monitoring, and maintaining them isn’t really an option anymore. What you can do, of course, is set up Google Ads’ built-in alerts one by one for each of your accounts. You could even manage these alerts via the Google Ads API or utilize Google Ads scripts. But the problem with these is that they involve email alerts by default. Hey, it’s 2019. Email is probably not the only channel you should use for building automation on. So, we decided to harness the force of APIs and, as a result, saved the galaxy! The script is populated with the list of Google Ads account IDs we want to monitor. The monitoring system itself queries the cost data of each ID using the Google AdWords API, and parses the results for those accounts that have accumulated no cost at all, signalling potential issues with your budgets or your configurations. When this information has been parsed, the account IDs that were flagged are written to a database for further analysis, and a notification is dispatched to the Slack bot so that the team responsible can be immediately notified when problems arise. R is a statistical programming language that today supports pretty much the same Machine Learning (ML) tricks that Python does. R vs. Python is a long-standing debate, so it really boils down to language preference: which one do you want to use for cool data stuff! Okay, I’ll put my pants back on, hold on. We don’t need ML in this simple monitoring example, but we do use it for more advanced solutions. That’s why R is the tool of choice for us. RStudio is available in open source and commercial editions and runs on the desktop (Windows, Mac, and Linux) or in a browser connected to RStudio Server or RStudio Server Pro (Debian/Ubuntu, RedHat/CentOS, and SUSE Linux). If you don’t have RStudio installed yet, grab yours from RStudio downloads. We won’t get into the RStudio installation details in this article. RStudio’s website provides comprehensive documentation and step-by-step how-to’s for that. Once you have your RStudio setup up and running, let’s script! We are using MariaDB to store the Google Ads Customer IDs of our clients, where they can be retrieved from for several other integration and automation purposes we need. If you’re using some other database server, you need to modify the DB part of the code to suit your needs. R has comprehensive support for a wide variety of databases, perhaps even all of them. Basically, if it’s something to do with data, R can read from it. If you’re not using a database, you can skip the DB part. Optionally, R can also read the IDs from e.g. Google Sheets or a CSV file. How to do this in R is your homework! You’re probably thinking “But why aren’t you reading the IDs directly from AdWords API”? Well, the unfortunate thing is that RAdwords, the R AdWords package, implements the Adwords API Reporting Service only, and the Reporting Service does not support querying Google Ads Customer IDs on the Manager Account level (formerly known as My Client Center or Google MCC). Instead, you’d need access to AdWords API Managed Customer Service to do that. In our case, this isn’t a problem though, because we want to persist the IDs in our own custom environment and have different classifications and levels for different sort of contracts and clients. This way we are able to do the desired actions to those clients that need them, and we can also add monitoring capabilities to the setup. If you need to read the IDs directly from the AdWords API, you can access the Managed Customer Service via a newer R package called adwordsR. Create a new R file in your RStudio with the following content, set up your DB user and pass, and save the file as db_credentials.R in /YOUR_R_USER_ROOT_DIR/auth/. This is your DB auth file. Create another file including the following code and save the file as connect_db.R in /YOUR_R_USER_ROOT_DIR/. This is your DB connector. And finally the actual Ads R script, include the following code and save it as google-ads-zero-cost-monitor.R in /YOUR_R_USER_ROOT_DIR/. Now you have your Ads zero cost monitor script ready and you can move on to setting up your Slack bot. Because the guys at Slack are awesome, they have written an excellent guide on how to set up your bot. They even serve you virtual cookies! Slack’s guides are a textbook example about how documentation should be written - they’re always a pleasure to read and follow! Thanks guys! 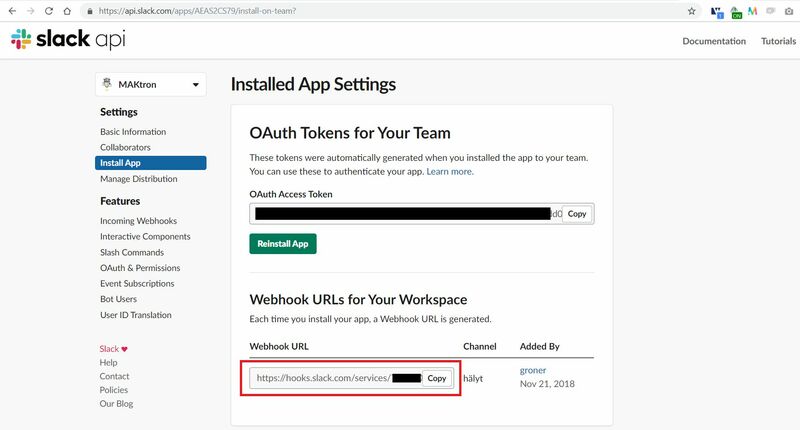 Once you manage to get your bot installed into your Slack workspace, you will get a webhook URL that you’ll need in the following script. msg_body <- "Alerts saved to database! <!channel>"
Once you’ve set this up, include the above Slack part into your google-ads-zero-cost-monitor.R script. Your monitoring script is now done! Test it carefully in your RStudio and make sure everything is working correctly. After that, you’re ready to move your script to production by scheduling it via cron. Add a cron job that suits your needs. Here’s an example syntax with a scheduler that runs the R monitoring script daily at 10 AM. You have now created a potentially powerful Google Ads monitoring pipeline that has endless opportunities for extending. Other useful use cases for utilizing the pipeline are for example anomaly detection, high spend tracking, campaign-level stuff, automation of ads placement optimizing, and so forth. It goes without saying that automation is absolutely necessary in this day and age when it can save you and your team from countless hours of manual labor. By automating trivial processes such as monitoring and anomaly detection, you are freeing up your most valuable resources (people) to work on more ambitious tasks. As always, we’re looking forward to your comments and questions. Let us know what you think of the solution, if it could be improved, and if you already have extensions in mind!